Three levels: A scale model of the 3.42ha Karisma Hill, which is developed to mimic a handfan hence the villas are presented in three tiers or terraces. If Living in a three-storey bungalow on a hilltop sounds like your ideal home then Karisma Hill in Seri Kembangan may just be what you are looking for. Situated across the Jusco shopping centre in Bandar Putra Permai, this exclusive development gives house buyers a variety of villas to choose from. According to Karisma Property Development Holdings Sdn Bhd general manager Sean Foong, the 3.42ha of land is developed to mimic a hand-fan, hence the villas are presented in three tiers or terraces. “We work our villas around the natural terrain, therefore although the villas of the same type are stretched along the same road its height may differ from its neighbour,” said Foong. Playing on the letter ‘K’, all five villa types have names beginning with the same letter, starting with the Kendra and Klarissa which have built-up area of approximately 3,948 sq ft to 4,104 sq ft. Both types have five rooms with six bathrooms and a parking area enough to fit three cars. Behind Kendra and Klarissa is a row of 18 three-storey courtyard villas named Kimora which comes with six rooms and six bathrooms. Constructed to be slightly more spacious, Kimora’s built-up area is approximately 4,904 sq ft complete with a courtyard and garden area on its ground floor. Those who want a little “cooling” down over the weekend can rejoice over their very own pool on the first floor of the unit. “Residents can enjoy their private dip in the pool without having to drive out of their homes,” said Foong. Exclusivity can only get better as Foong introduces the last of the three-storey courtyard villas, Kasandra and the four-storey, Kamilia. Kasandra, which is constructed opposite Kimora, also comes with a pool but has a slightly larger built-up area of 4,931 sq ft.
“What makes Kasandra special is its levelling which can be seen from the parking area itself. “The parking space for Kassandra is on the first floor of each unit compared with the rest which is built on the ground floor,” said Foong. The final row of just 11 houses is Kamilia, occupying four levels of space with a built up area of 5,110 sq ft.
Each of the 75 units are designed without a fence or gate to surround it. “We want our residents to have a better lifestyle by getting to know one another and surrounded by one big fence which is from our main entrance,” said Foong. Although there isn’t any playground built within the gated development area, Foong said there were pocket parks, private gardens and tropical plants for one to ensure the lush natural ambience in Karisma Hill. Streets will be filled with flowering trees and shrubs to make one’s cycling and running path friendlier. When completed in December 2015, residents do not have to worry about renovations as the developer is delivering the houses complete with a built-in lift. “All they need to do is bring their furniture and not worry about renovation or plumbing works,” he said. For safety measures, the neighbourhood is equipped with CCTVs and alarm system for the comfort of residents. The 0.44ha project located within Ampang's embassy row has 56 units of luxury condominiums, each with an average built-up of 4,000 sq ft. BOUTIQUE developer Amphill Corp Sdn Bhd is unfazed by the global turmoil and bullish that its RM200 million Rimbun project in Kuala Lumpur will attract local and foreign investors. Amphill CEO and director Poh Pai Kong said the company will sell the units, each priced from RM4 million, or about RM1,100 per sq ft, starting from December 15. "We don't expect overnight sales, but are quite certain the units will be sold in a few months," Poh said yesterday at the launch of Amphill's website and unveiling of the project by Housing Minister Datuk Seri Chor Chee Heung. "Rimbun is no ordinary condominium project, but one that provides ample of living space amid lush greenery with focus on sustainability," he added. The project, which is under construction and slated for completion by mid 2014, was recently accorded the Green Mark (Gold Plus) certification by Singapore's Building and Construction Authority. Photo Voltaic panels and rain water harvesting will be standard features, besides green label household fittings and appliances and smart home systems to minimise energy and water usage. 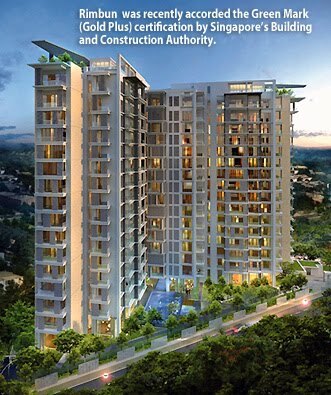 Rimbun is the first of many high-end projects that Amphill will unveil over the next few years in the Klang Valley. The company was founded by Poh, a 35-year veteran in the property industry. He retired as group managing director of Dijaya Corp Bhd and Tropicana Golf & Country Resort Bhd in 2007 and is credited with turning Tropicana into a top brand in the country. He also set up and led the joint venture with PKNS and developed a neighbouring 160ha land into the popular Sri Selangor Golf Course and Damansara Indah Resort Homes (now Tropicana Indah). FOLLOWING the success of its previous launches in 16 Sierra, IOI Properties is offering another opportunity for potential housebuyers to own two or three-storey lifestyle terrace homes with upgraded finishes within a township with 16 inter-connected themed gardens. Unlike other standard terrace homes, one of the many unique advantages of Lyden is the exceptional design versatility. For example, the innovative open plan concept allows houseowners to pre-plan the size of their living room, dining room, dry kitchen, or even the outdoor breakfast terrace, according to their requirements. Another significant feature is the double-volume ceiling in the living, dining or family areas. Together with the exceptional high ceiling at ground and first floor and also the open-plan concept, spaciousness is taken to another level. Other exclusive features designed to reflect your discerning lifestyle are large windows for ample natural lighting and ventilation, solar hot water system to reduce power consumption, home alarm system, lightly tinted glass for all windows and sliding doors with powder-coated frames, 8 ft-high main entrance door, and staircase with glass railing and wooden balustrade, three-phase wiring, and air-cond points with piping. For some of the three-storey corner units, there is a Junior Suite with an en-suite bath and entertainment room that opens to a covered terrace attached with a powder room for outdoor entertaining. Other corner units will have an outdoor breakfast terrace. Lyden (two-storey intermediate with four bedrooms) is available in two lot sizes – 22’ x 75’ and 22’ x 80’ with a gross built-up of 2,466 sq ft & 2,668 sq ft respectively. The corner units are three-storey with five bedrooms and a bigger lot size of 26 ft.
For added security, a single entry/exit point with perimetre fencing is provided, which will be complemented with a proposed guardhouse. Like every residential precinct in 16 Sierra, Sierra 2 (where Lyden is located in) also has its own themed garden at its doorstep. Children will enjoy playing and learning with equations, numbers and mathematical forms at the Algebra Garden. The themed gardens are interconnected by walkways so that residents throughout the township can enjoy exploring different themed gardens. There is also the Central Park —the largest of all themed gardens. It is designed to accommodate a series of activities for residents’ use and relaxation. This serves as a gathering place for huge events such as family day. It is complete with a grand lawn, amphitheatre, children’s play area, ladybirds, frog play structures, exercise station, reflexology path, jogging path, living trellis, tai chi lawn, basketball court, futsal courts and colourful gazebos for residents to spend quality family time for an enhanced lifestyle experience. 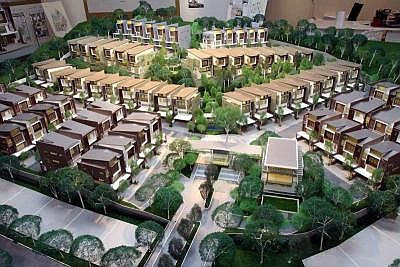 Modern township amenities in 16 Sierra include a proposed private school offering both local and international syllabi. The units are available with a booking fee of RM30,000 and free legal fee on SPA. For more information, contact 03-8944 9999. YTL Corp may begin selling its luxury home project in downtown Singapore in the first half of 2012, more than four years after buying the site, as the Malaysian developer expands its holdings in Asia. The project, converted from an old apartment building on Orchard Boulevard that the company purchased in 2007, will have 78 units targeting wealthy Asian buyers from countries including China, Indonesia and Malaysia, according to Kemmy Tan, the head of YTL’s real estate unit in the city-state. YTL Managing Director Francis Yeoh has been expanding outside of Malaysia into the real estate markets in countries including Japan, China and neighboring Singapore to take advantage of Asia’s growing affluent property investors. The group also has businesses in utilities and cement. “Wealthy Asian property buyers have now gained more exposure to more sophisticated life-style and design,” said Tan, adding that she estimates buyers will probably be willing to pay a 20 per cent premium compared to regular prices for the design by a renowned architect. The project will be designed by Antonio Citterio, an Italian architect whose work includes the Bulgari Hotel in Milan and Bali and the Ermenegildo Zegna Group’s new Milan headquarters, marking his first residential project in Asia. YTL bought the original Westwood Apartments building for S$435 million (US$339 million) in 2007, a record at the time for the purchase of an existing apartment through a so-called en- bloc sale. It had since leased out the units. Tan declined to say how much YTL will sell the units for, which will have areas of between 1,000 and 3,500 square feet, adding that the average prices of luxury apartments in the area range between S$3,800 and S$5,000 a square foot. St. Regis Residences, a five-minute walk away, was last purchased at S$2,776 a square foot in September, while the Marq on Paterson Hill and Orchard Residences, about 1 kilometer (0.6 mile) away, sold homes at more than S$4,000, government data showed. The Kuala Lumpur-based company is the biggest shareholder of Starhill Global REIT, a Singapore-based property trust that owns stakes in the city’s retail malls such as Ngee Ann City and properties in Tokyo’s Roppongi and Daikanyama shopping districts. KUALA LUMPUR: Global real estate service provider Savills said that despite a bleak economic outlook in Britain and burgeoning European woes, prime central London property will continue to be in demand and private rental expected to increase. Barnes: ‘There are grounds for optimism because despite the bleak picture (for Britain’s economy), many people have been excluded from buying, so there is an increase for rental. “There are grounds for optimism because despite the bleak picture (for Britain's economy), many people have been excluded from buying, so there is an increase for rental,” Savills director for research Yolande Barnes said. Barnes said this at a talk on “Is London still a World Class City?” in Kuala Lumpur, her third stop in Asia after Hong Kong and Singapore. She said that over a five-year period between now and 2016, rental growth was expected to be 20% compared with a five-year capital growth of about 6%. Barnes' comments reflect a similar situation in major American cities. Bloomberg reported earlier this week that rentals are gaining ground in cities that have relatively robust job growth, such as Seattle, or pools of transient workers like in Washington, Los Angeles and Las Vegas as Americans are wary of buying a home or are unable to qualify for a mortgage. Barnes said in the United Kingdom, lack of financing for both homebuyers and developers had affected the housing stock, the annual supply of which has over the past several years been about 25,000 units. In the 201011 period, the supply of housing stock has dropped. “The lack of supply has put pressure on rentals so yields are expected to increase,” she said. In the prime central London property market, the interest is mainly from foreigners, with top buyers from Russia and China. “London is considered as a safe haven,” she said, adding that studies that compared London with other European cities showed international business people tended to prefer London. Over a period of 18 months to June this year, overseas buyers spent 6bil in the residential market, the highest since 2007. Of this, a quarter went to newly built properties which were mainly purchased by buyers from the Asia-Pacific region. PETALING JAYA: The Selangor State Development Corp (PKNS) plans to raise RM700mil in a sukuk issuance to finance some of its projects and to purchase land. “We recently announced over RM14bil worth of new mega projects to be implemented over the next two to five years. PKNS needs to gear up more if we were to undertake these mega projects ourselves as their gross development value ranged between RM1bil and RM3bil each,” PKNS general manager Othman Omar told StarBiz. He said the money raised from the sukuk would allow it to probably carry out two or three projects. “We have to be more innovative in our implementation strategy. We are evaluating an offer from a foreign investor to buy two of the towers at RM800 psf at our Datum Jelatek proposed mixed development worth about RM900mil in Kuala Lumpur, in exchange for a fixed-price construction contract,” he said. Furthermore, he said, PKNS had received offers from investors to lease long term or to purchase en bloc its developments, thus reducing its exposure in the event that the property market slows down over the next few years. “To address the issue of insufficient financing for our projects, we are looking forward to more public-private collaborations with local and international partners, especially in building the high-profile projects,” Othman said, adding that PKNS has zero gearing currently. PKNS also revised the master plans for its 1,500 acre Selangor Science Park 2 in Cyberjaya and the 6,000 acre Bernam Jaya project in Selangor. “We have spent RM1.15bil in land acquisition, earth works and infrastructure cost for the last five to 15 years, and it is time to realise part of its value,” he said. The state development corporation had also seen a recent upgrade of its Ratings Agency Malaysia rating to P1/AA1 from P1/A1, which would translate into lower financing cost for its future developments. “We are also setting up a special purpose acquisition company in order to retain some of the retail and office components from our projects before we can possibly inject them into a real estate investment trust (REIT). In 2010, PKNS proposed a venture into the REIT industry with the injection of three properties Menara PKNS, Kompleks PKNS and SACC Mall with a combined value of RM270mil into AmanahRaya REIT (ARREIT) in exchange for new shares and cash, which would make PKNS the second largest shareholder of ARREIT with a 33% stake. “We are looking forward to injecting more of our existing properties into this REIT and we are lining up potential properties from our more strategically-located redevelopment and urban regeneration projects in the Klang Valley,” he said. Meanwhile, ARREIT yesterday announced that the two parties had mutually terminated the proposed transaction. ARREIT told Bursa Malaysia that the conditional deal, which was entered into on Sept 2 last year, was called off in light of potential planned asset enhancements to be carried out by PKNS on the properties, which would affect their market values. PKNS is projecting to end the year with its pre-tax profit surging to RM480mil from RM206mil in 2010. “PKNS needs to be profit-driven in order to finance its social obligations. However, the profit is just a means to an end. If PKNS makes more profit, the money does not go to our own pockets but will be contributed back for the benefit of the five million Selangorians,” he said. He said the more profit PKNS makes would mean that PKNS could contribute to building more low-cost and affordable housing, industrial and science parks to attract foreign direct investments and build more infrastructure developments for the state. “We need to segregate between our economic and commercial projects and the social projects so as to get the best use of our land and thus optimise the return on these projects,” he said. PETALING JAYA: Am ARA REIT Managers Sdn Bhd, the manager of AmFIRST Real Estate Investment Trust (AmFIRST REIT), has completed its acquisition of Prima 9 and Prima 10 in Cyberjaya for RM133mil cash. It told Bursa Malaysia that it was AmFIRST REIT's first investment in Cyberjaya, capitalising on the economic growth and vibrancy of Cyberjaya's commercial office segment. The properties were tenanted by multinationals secured against long leases, it said. Before the acquisition, AmFIRST REIT had six properties, namely Bangunan AmBank Group, Menara AmBank and AmBank Group Leadership Centre in Kuala Lumpur as well as Menara AmFIRST in Petaling Jaya, Kelana Brem Towers in Kelana Jaya and The Summit Subang USJ in Subang Jaya with total net lettable area (NLA) of 2,311,489 sq ft as at Sept 30. “The new acquisition will boost the total investment portfolio to eight properties and add a further 211,496 sq ft to the portfolio, representing an increase of 9% of the total NLA,” it said, adding that the acquisition posted remarkable growth in the assets under management of AmFIRST REIT by 13% from RM1.028bil as at Sept 30 to RM1.163bil. and the gearing ratio would increase to 46.5%. The group said these two new properties are expected to contribute an additional distributable income of 68 sen per unit on an annual basis. Permodalan Nasional Bhd (PNB), SP Setia Bhd and Tan Sri Liew Kee Sin are proposing to enter into an agreement to formalise the incentives and management rights relating to the management and general conduct of the business of SP Setia group of companies. In a filing to Bursa Malaysia today, SP Setia said Maybank Investment Bank Bhd had submitted an application for the proposed arrangement to the Securities Commission today. It was previously reported that PNB, the major shareholder of SP Setia, proposed to take over the property developer. The national and the largest fund manager had acquired 9,139,800 SP Setia shares in the open market for RM3.88 a share, and it also bought 1,059,300 SP Setia warrants for 89.5 sen each in the open market. KUALA LUMPUR: SP Setia Bhd may still have a shot at securing the project to redevelop London's Battersea Power Station. Although the developer appeared to have written off its chances last week, another window of opportunity is set to open soon, according to news reports. The Telegraph reported Irish company Real Estate Opportunities (REO), which has a 54% stake in a vehicle that owns Battersea Power Station, as saying lenders Lloyds Banking Group and Ireland's National Asset Management Agency (NAMA) had applied to have administrators appointed to certain subsidiaries. Once they had taken control of the sale process after appointing administrators at the end of next week, Lloyds and NAMA planned to run an open-market auction process to off-load the power station, the Financial Times reported. This will give SP Setia a chance to put in a bid its third for the Battersea Power Station project, and this time it will be contending with other international parties for that site. On Nov 18, SP Setia instructed its investment adviser to submit a 262mil (RM1.3bil) offer to Lloyds and NAMA to buy debt linked to the power station. The offer was rejected on Nov 23. In a Nov 24 announcement to Bursa Malaysia, SP Setia confirmed the rejection by the lenders but added that it believed property development prospects in London were positive. Despite the bleak British economy and the overall weak sentiments swirling around in Europe, global real estate service provider Savills said London continued to put in many interested buyers from around the world. “This is due to the cosmopolitan nature of the city. It is an old city and there is a lot of interest there. Compared to other cities like Frankfurt and Geneva, international businesses continue to view London and its real estate favourably,” said Savills director (research) Yolande Barnes. Barnes was on a speaking engagement in Kuala Lumpur. She said the Battersea Power Station was part of a larger regeneration project that had been ongoing in London for some time. Located south of River Thames, the larger Battersea area has been promising. Generally, real estate north of River Thames are viewed more favourably. “The Battersea Power Station is a controversial site. When it was made available, it was of low value. As Battersea area begin to be regenerated the old buildings done away with and replaced by new ones its appeal began to grow. But that power station is a difficult site to develop because it is a heritage site,” she said. The power station has four tall structures or towers. Since it is a heritage site, the authorities will probably not allow it to be demolished, although the land around that area may be developed. “So from the point of cost it is difficult to preserve and for re-use (or redevelopment) it will be expensive for whoever owns it,” she said. “The Battersea Power Station project is a bit like the Tate Modern gallery. That site was also formerly a power station.” The Tate Modern today houses Britain's national art collection. Glomac Bhd's pre-tax profit for the second quarter ended Oct 31, 2011 surged to RM34.278 million from RM32.043 million in the same quarter last year.However, revenue decreased to RM134.834 million from RM140.897 million. In a filing to Bursa Malaysia today, the company said the fall in revenue was due to completion of two projects namely Glomac Tower and Glomac Galleria. 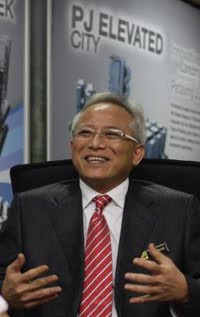 Nevertheless, Glomac said ongoing projects particularly Glomac Damansara, Glomac Cyberjaya, Saujana Rawang and Bandar Saujana Utama contributed stronger revenue as compared to last corresponding period. In a statement, Group Executive Chairman Tan Sri F.D. Mansor said the company "has a strong pipeline of strategic projects with a total gross development value (GDV) of RM2.6 billion for launch beyond this year".